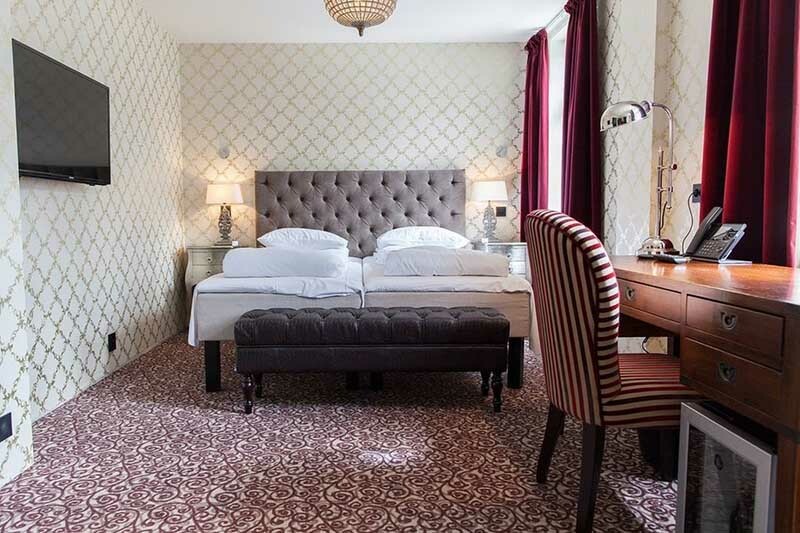 The Hanseatic Hotel is a beautiful hotel offering 37 exquisite, stylish rooms in charming surroundings just a short walk from the city's attractions. The hotel is a part of Finnegaarden at Hanseatic Wharf, Bryggen in Bergen, which is inscribed on Unesco's list of World Heritage Sites. 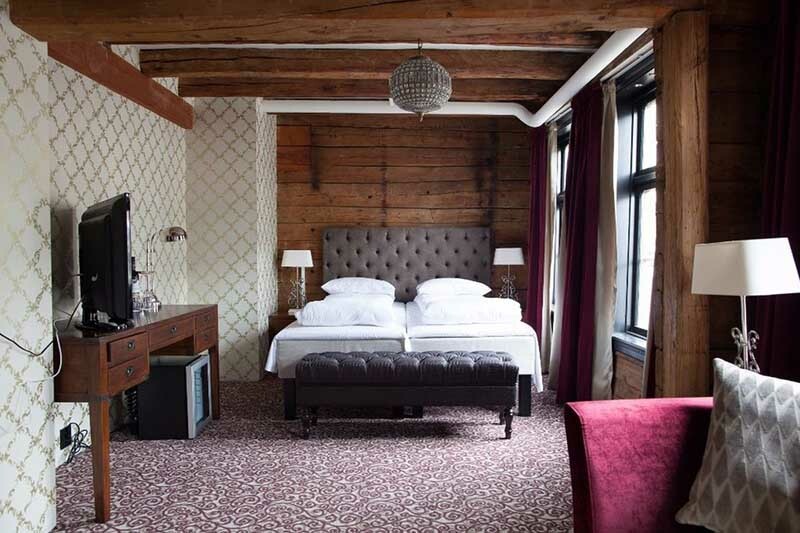 A stay at the Hanseatic Hotel is a very special experience. 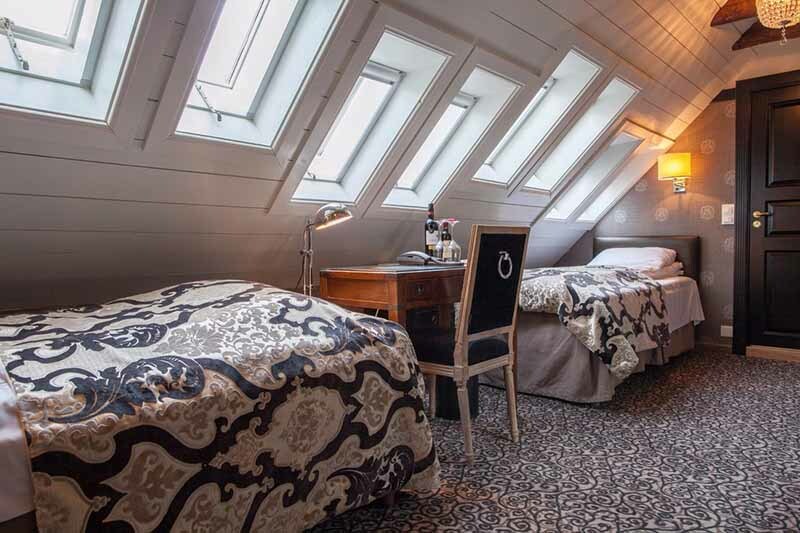 We have invested all our expertise and passion into creating this high quality hotel, situated at Bryggen in Bergen. This has been combined with true Norwegian hospitality. With its location at the very heart of historic Bergen, the hotel is ideally placed, whether you are travelling on business or pleasure. The Hanseatic Hotel is not your 'standard' hotel. The hotel has been built on historic ground within the Finnegaarden Trading House at Bryggen, which is inscribed on Unesco's list of World Heritage Sites. We have retained the wharf style and architecture, and the old timber walls have been preserved in several places. 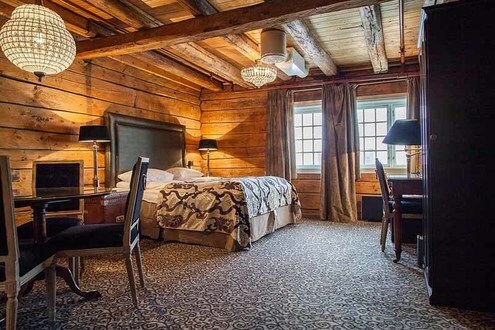 We can offer 37 characterful double rooms featuring exclusive furniture and unique bathrooms, creating an interior that is redolent of the time when Bryggen was a Hanseatic port. The Hanseatic Hotel will appeal to those looking for more than a standard A4 hotel, and who wish to spoil themselves in attractive and charming surroundings. As the city's most outstanding hotel and restaurant complex, we want our guests' stay to be memorable and can offer delicious culinary treats that will appeal to every taste. We have several restaurants serving exquisite traditional and international cuisine, a cosy lobby bar, in addition to excellent conference facilities and free WiFi. 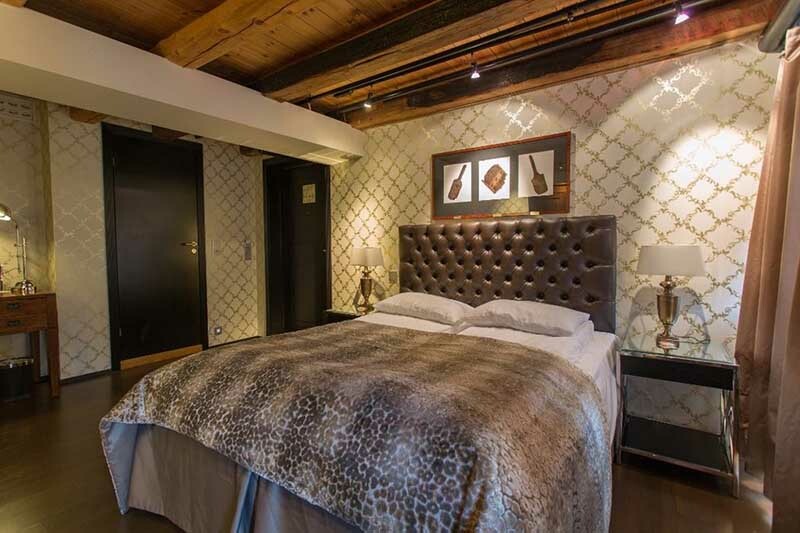 All rooms at the Hanseatic Hotel are unique with their own charm. You can choose from five room categories. Charming room with sloping ceilings. Our only room can not be converted into a double bed. The room has a small desk, flat-screen TV and carpet on the floor. The bathroom has a shower. ​Intimate rooms of varying size. All rooms have a desk with a chair. ​Two of the rooms are with shower and rest with shower only. Parquet or carpet on the floor. ​Our most popular rooms with great bathroom where most have a tub and separate shower. Several rooms have both seating area and desk. Parquet or carpet on the floor. Large rooms with work desk and seating area with sofa, table and chairs. Large bathroom with tub and separate shower. Parquet or carpet on the floor. ​All our largest rooms have a 46 inch flat screen, a big comfortable bathroom with both shower and bath, a large work desk and a coffee table with chairs and a sofa. Bergen's only Tex-Mex restaurant in a traditional style with modern overtones. By using the freshest produce, we offer the best Mexican cuisine in town. The FG Restaurant & Bar at the Hanseatic Wharf in Bergen is best described as a modern brasserie and attractive bar, offering a wide selection of meat and fish dishes, as well as home-made hamburgers. A restaurant offering exquisite menus for both small and large parties in beautiful, historical surroundings at the Hanseatic Wharf in Bergen.